That’s correct. Your eyes aren’t deceiving you. Southwest Florida home prices rose $100,000 since 2013. We could end the story right there, and it would be a beautiful story. As you know, there’s always more to the story. We really like where this market is right now. We would say it is fully valued. By that we do not mean it’s headed down. Our market is balanced. It’s not all the way back for some homes and for others perhaps it is. We do not see signs of distress we saw back in late 2005 that caused us concern. Inventory across the US is down. 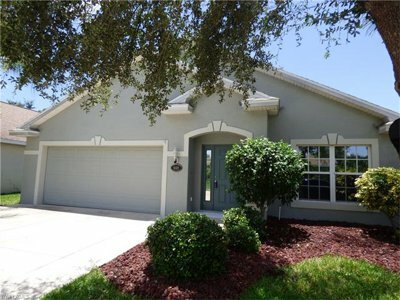 Inventory in Southwest Florida went down in May to 5,369 homes. This was down from 5,719 in April. The number of closed homes is slightly lagging 2015 and 2016. This is partly because of limited inventory and partly because home prices have risen so much. Inventory was down the last few years as well, so we can’t attribute it to that. Lower prices means more people can afford to purchase. Let’s look back since 2013. As you can see by the graph, the median price of a home in January 2013 was $140,000. In May 2013, it was $176,333. 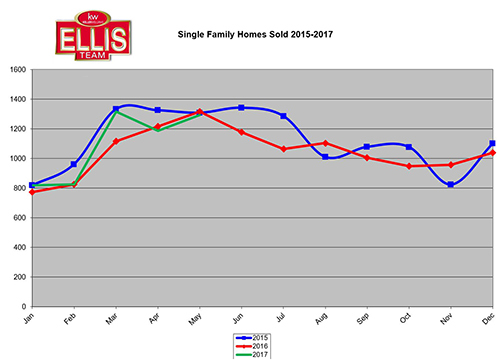 Fast forward to 2017, in January, our median price was $227,000. That is a difference of $87,000. The May 2017 median price was $237,500. That is a difference of $61,167. Going back 4 years and 4 months the difference is $97,500. Pretty close to $100k in the headline. 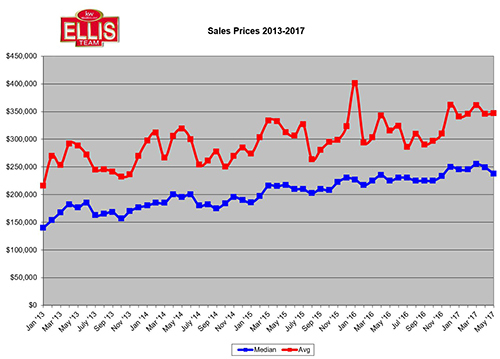 When we look at average prices we see January 2013 came in at $215,873. May 2017 official numbers came in at $346,559. This is a difference of $130,686. Maybe this isn’t fair since it’s not the same months. May 2013 average prices were $288,547. May 2017 numbers were $58,012 higher. Either way you look at it, our market has done very well since 2013. We’ve had a good run, and there’s no reason to believe we won’t have a good market a year from now. We may not see $100,000 price gains going forward, and that’s OK. Our market should move in lock-step with the general economy. As incomes rise, so should housing. If incomes were to fall or the economy falter, it could put pressure on the housing market. So far 2017 has been off to a great start. The stock market has done well and housing has done well. Consumer confidence is higher and mortgage rates have remained low. People have money and equity they didn’t have 4 years ago, or even one year ago. More Southwest Florida homeowners have recently gained positive equity, such that they could now sell if they wanted to. This wasn’t always the case. As people’s lives change so does their housing needs. When kids go off to college parents don’t always need that large home. Growing families can’t stay in that tiny first home they bought, and so begins the housing cycle. Southwest Florida also has baby boomers buying 2nd homes for vacation enjoyment. We also get people retiring from Northern states. As America changes, so too can the Southwest Florida real estate market. We are affected by local, national, and even world events. 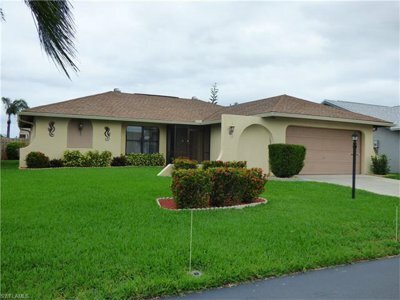 You can search the Southwest Florida real estate market like a pro at www.LeeCountyOnline.com Our database has all the homes for sale and is updated every 5 minutes. You won’t be bothered seeing homes that sold 8 years ago or missing new listings that just came to market. In a low inventory market, it pays to use the best search site and ours definitely is the Best! You can always call us too at 239-489-4042. We’ll be happy to walk you through what it would take to buy or sell a home in SW Florida. Always call the Ellis Team at Keller Williams Realty! This past week I had the chance to visit properties on Fort Myers Beach. I’ve included a Fort Myers Beach Home Search for you here. Here is a Fort Myers Beach Condo Search as well. We previewed Grandview at Bay Beach. We’ve created a special page for Grandview at Bay Beach for you here. Posted in Cape Coral, Cape Coral Real Estate, Fort Myers, Fort Myers Beach, Fort Myers Real Estate, Open House, Southwest Florida Real Estate.Tagged Ellis Team at Keller Williams Realty, Fort Myers Beach homes for sale, gated community, Gladiolus Preserve, Grandview at Bay Beach, Southwest Florida Home Prices Rose.